View blog posts from 2017 , 2018. My 'Diva' wins award! - 04/05/19. 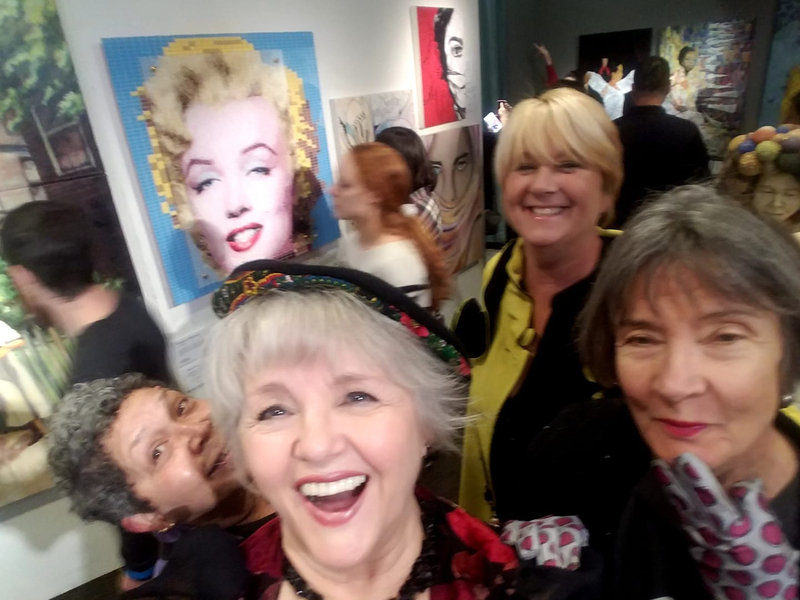 The Lovely Loleita and I had a wonderful time at the St Augustine Art Association Spring Members Exhibit Friday night. 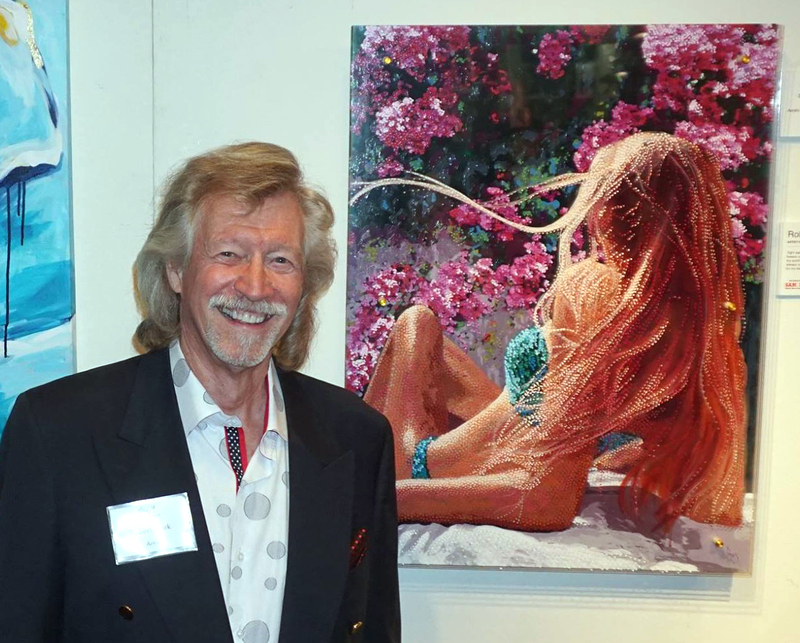 My painting 'Diva Shades' won an Honorable Mention Award so she had a good time too. Fun time at the Orlando Museum of Art - 04/04/19. 'Summer Breeze' gets lots of love. Thank you Jeff Shonkwiler and 1st Thursdays @ Orlando Museum of Art for putting on another wonderful Exhibit. These shows are always so much fun, and the artwork continues to inspire me to keep growing. 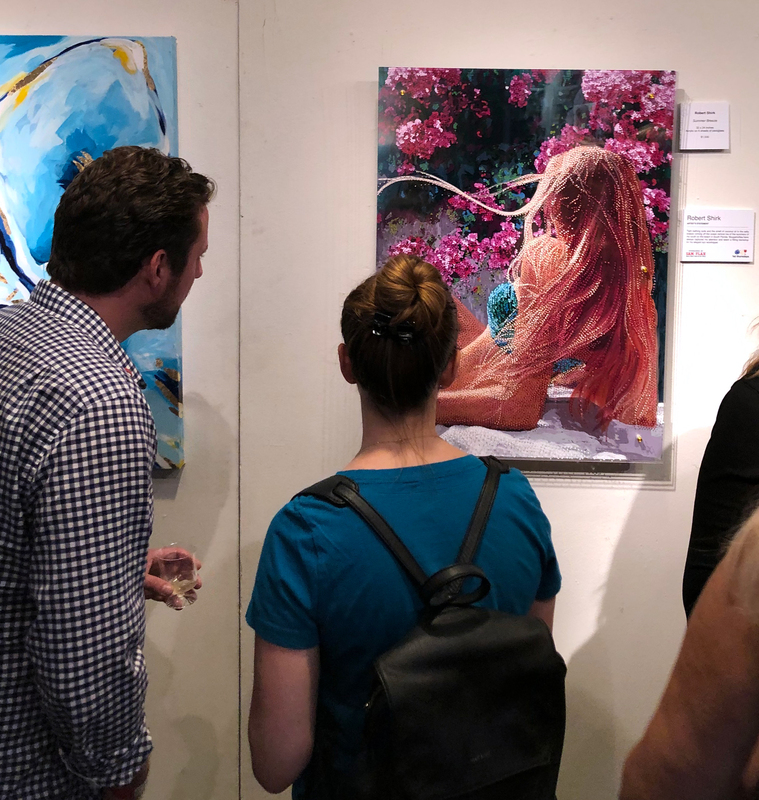 My painting 'Summer Breeze' had a great spot and got to meet everyone as they entered the gallery. Congratulations to Cheryl Bogdanowitsch for winning Best in Show for her 'Heron'. 2nd Place Award - 03/17/19. 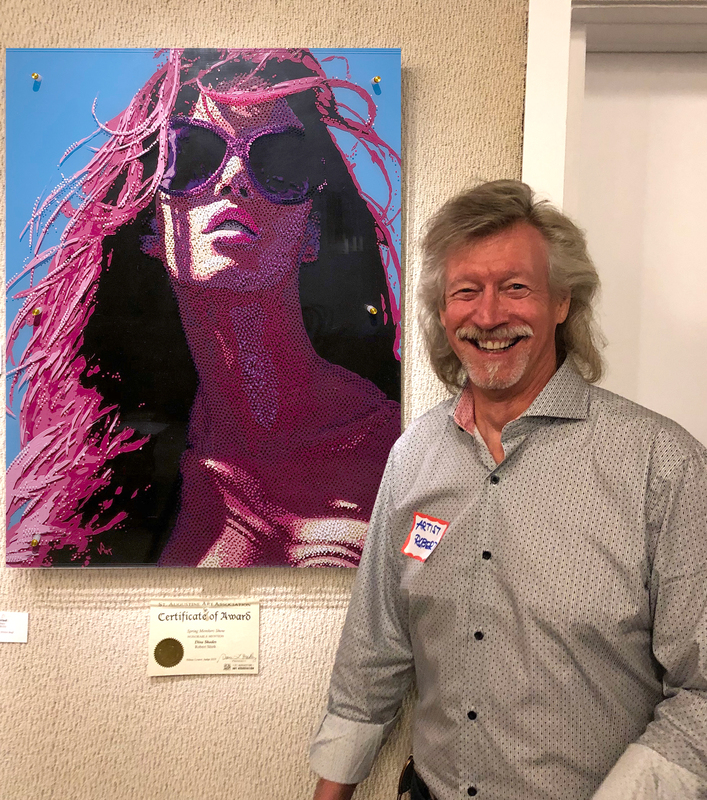 My painting of 'Sparkle' got a wonderful reception yesterday at The Art League of Daytona Beach exhibit 'All Creatures Great And Small'. She won 2nd place and was having a blast with all the other "Creatures" hanging out on the walls. We loved visiting with all the talented artists and seeing their work. Congratulations go out to Katty Smith for winning Best in Show for her lovely sculpture 'The Human Plight'. Beverley Ulrich received the 1st place award for her painting 'The Conversation'. Diana Mier Patterson received 3rd place for her painting'A Mother's Love'. Congratulations to all the other award winners as well. 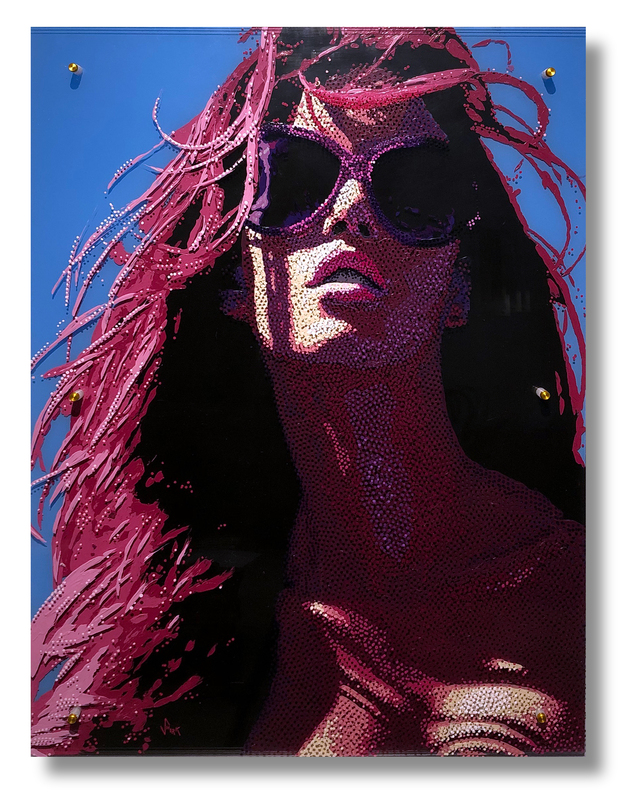 I just finished this short 45 second video showing my latest painting of this sunglass wearing Diva. See video closeups of this 3 dimensional kinetic painting. Just finished this painting on 4 sheets of 32"x24" plexiglass. We may never see my Diva's eyes, but just imagine how beautiful they must be. 1 min video showing this new painting. I just finished this short 1 min video showing my latest painting of this elegant sun worshiper. See video closeups of this 3 dimensional kinetic painting. Acrylic paint on 4 sheets of 30"x24" plexiglass. Bogenvillas have always captured my attention since the first time I noticed them adorning the courtyards and shops on Worth Avenue in Palm Beach. They seem a fitting backdrop for my elegant sun worshiper as the smell of coconut oil wafts through the salty breeze coming off the ocean. Marilyn Monroe reborn! - 01/11/19. 1 min video showing new life to an old painting! 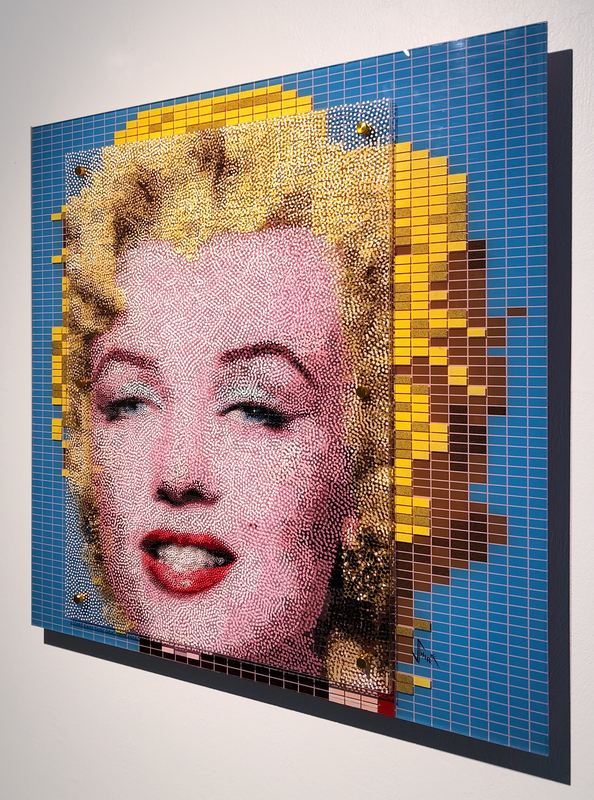 Andy Warhol's Marilyn - Dotted! - 01/09/19. 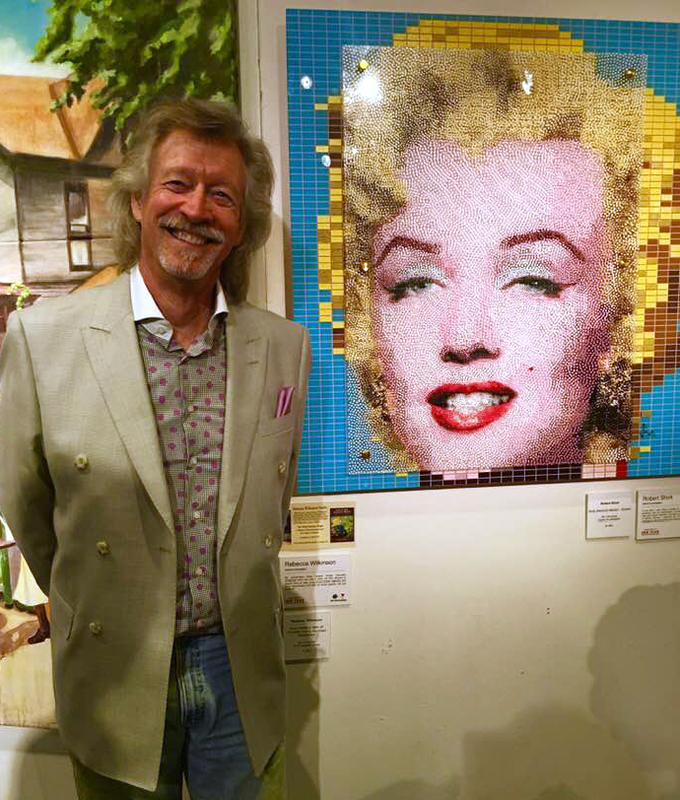 I decided to update my 1985 painting of Marilyn Monroe. 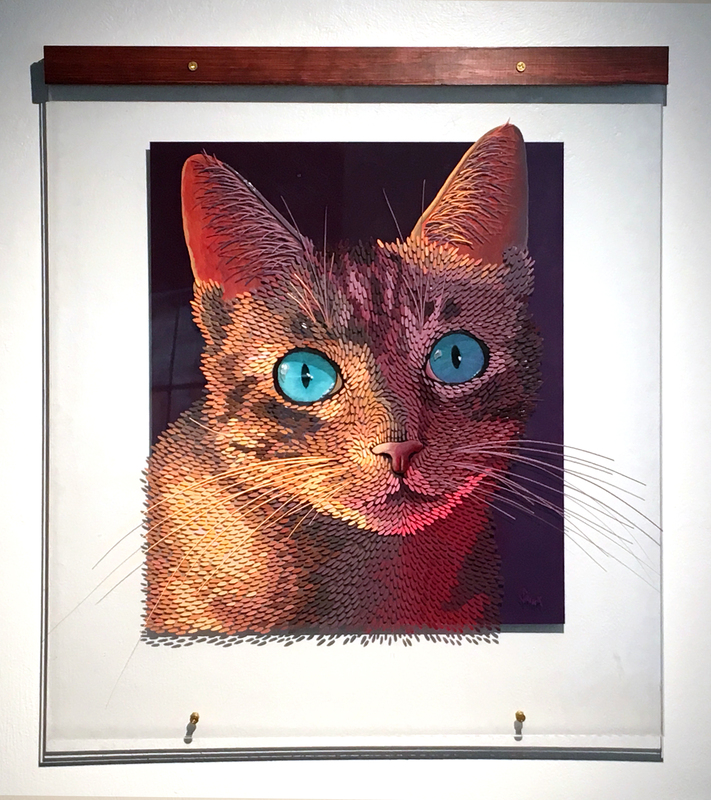 I attached two 24"x32" sheets of plexiglass to the old 36"x36" painting and added thousands of dots. The old painting served as a useful underpainting for my updated painting.